Puerto Rico’s medicinal cannabis market comprises 45 dispensaries islandwide. The new medicinal cannabis clinic is located at the Borinquen Towers complex in Guaynabo. Faced with the challenge posed by the adoption of a new bill limiting the use of the cannabis flower for medicinal purposes, Puerto Rico Clínica Verde inaugurated Thursday a clinic at the Borinquen Towers on Roosevelt Ave. in Guaynabo. The 4,000 square-foot property entailed an investment of more than $1.5 million, and will provide a variety of six different cannabis-related products, the widest so far available on the market, company executives said. This way, the chain is prepared to supply options that meet the new parameters of the law, said Ricky Castro, spokesman for Clínica Verde. Aside from the flower, the clinic will offer offer certified patients a variety of products, such as oils and edible goods. Each category serves a different need, as required by the patient or recommended by their doctor, while complying with the provisions established by the new law and its regulations. Castro said the facilities were designed to ensure the comfort and privacy of patients authorized by the Health Department to use medicinal cannabis. Therefore, they will have a reception area, separate from where drugs are dispensed, as well as individualized areas where a team of trained professionals will be available to guide and serve patients. He added that the chain of clinics is committed to the development of the cannabis industry and its potential to create jobs and economic activity in Puerto Rico. With this opening, the chain added 40 new jobs to its payroll. 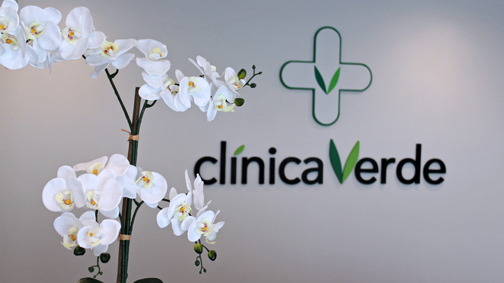 “Clínica Verde was created by a group of professionals, among them, recognized young entrepreneurs living on the island and others who have returned to it, believing in the therapeutic benefits of medicinal cannabis, and in the potential of this industry and Puerto Rico as an investment destination,” Castro said. “We want our patients to have a world class experience, with the best selection of approved products and service excellence,” said the entrepreneur, adding that each clinic will create approximately six full-time jobs. Clinical Verde will open its next establishments on Piñero Ave., Old San Juan and Ponce, and are considering an expansion that will contribute to Puerto Rico’s economy and toward job creation, he said. Hey Buddy!, I found this information for you: "Medicinal cannabis dispensary opens in Guaynabo". Here is the website link: https://newsismybusiness.com/medicinal-cannabis-dispensary/. Thank you.